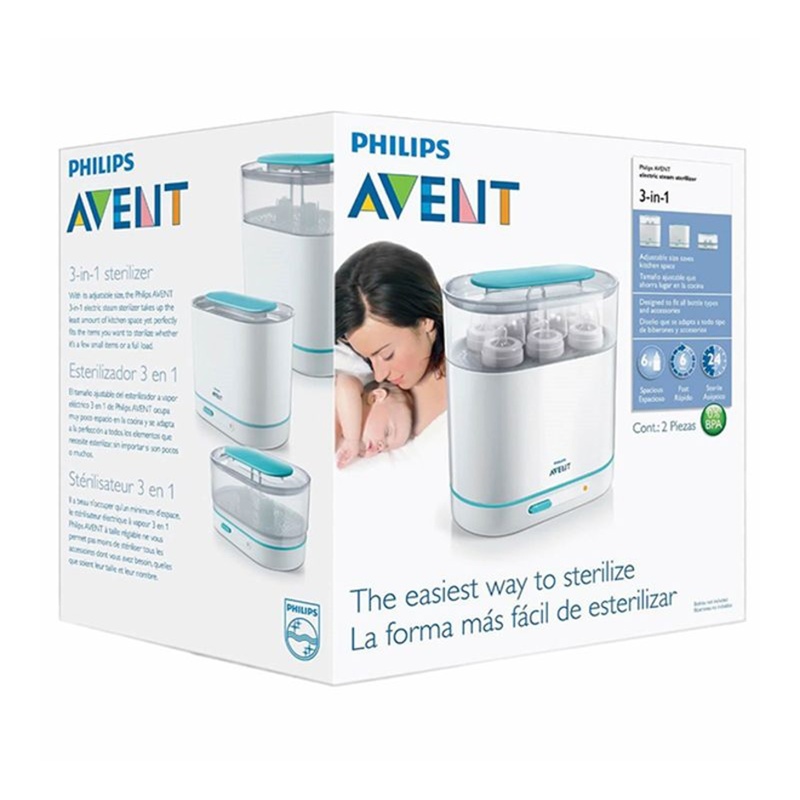 Philips Avent 3-in-1 Sterilizer provides ease of use and convenience! 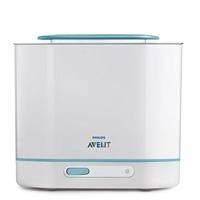 The unique 3-in-1 modular design of the sterilizer takes up very little space in the kitchen, from small accessories to all of the products; it has enough space for everything you want to sterilize. 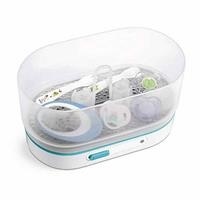 Sterilizers, which use natural steam to sterilize bottles and other products, eliminate 99.9% of harmful microbes without using chemicals. You can be sure that all your bottles and other products are sterile. 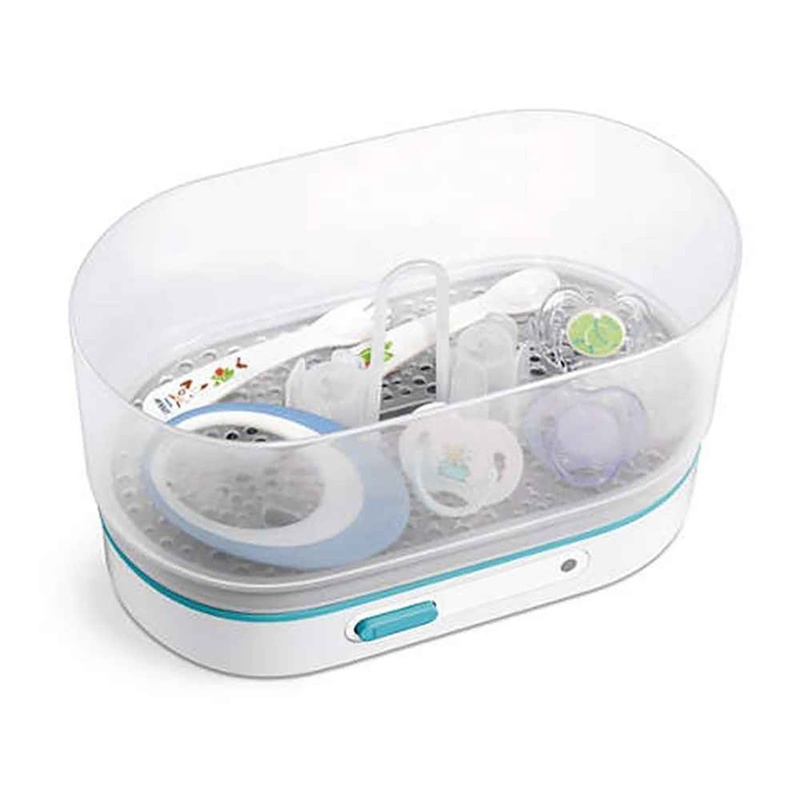 If the lid is not opened, the sterilizer will keep the contents (feeding bottles, breast pumps, etc.) sterile for up to 24 hours. The sterilization cycle takes only 6 minutes. After this time, the sterilizer automatically switches off and offers extra speed and safety. Thanks to our open design, you can keep the heating base easily clean and can clean with steam every time. 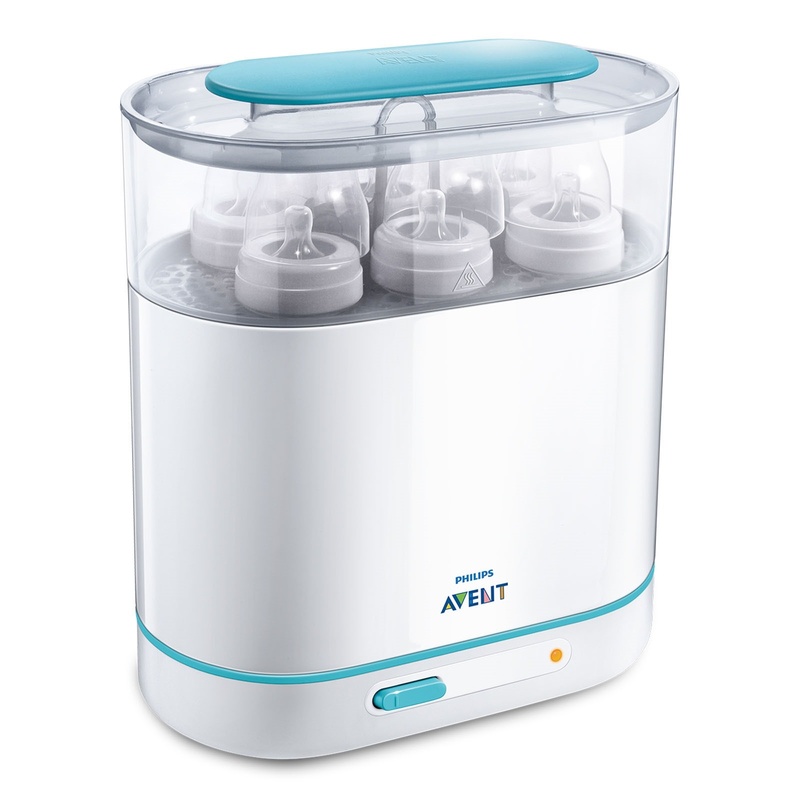 It takes up to six 330 ml / 11 oz Philips Avent Classic and Natural bottles to sterilize. 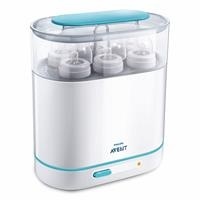 The sterilizer sterilizes both standard neck and wide neck bottles. 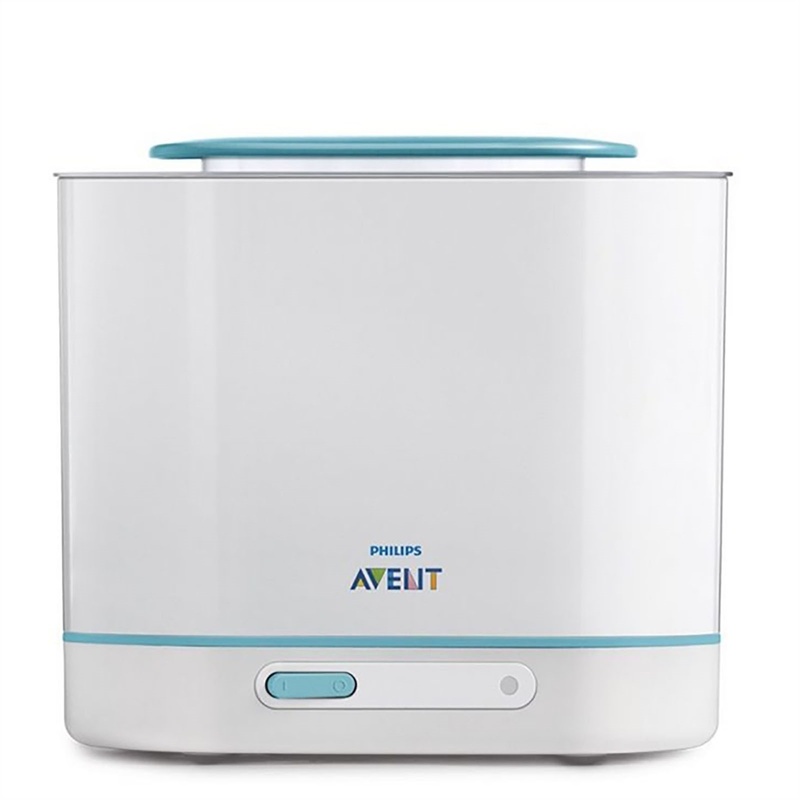 Also suitable for other baby products such as breast pump and accessories.